Now I can see why they say this breakfast cures hangovers. 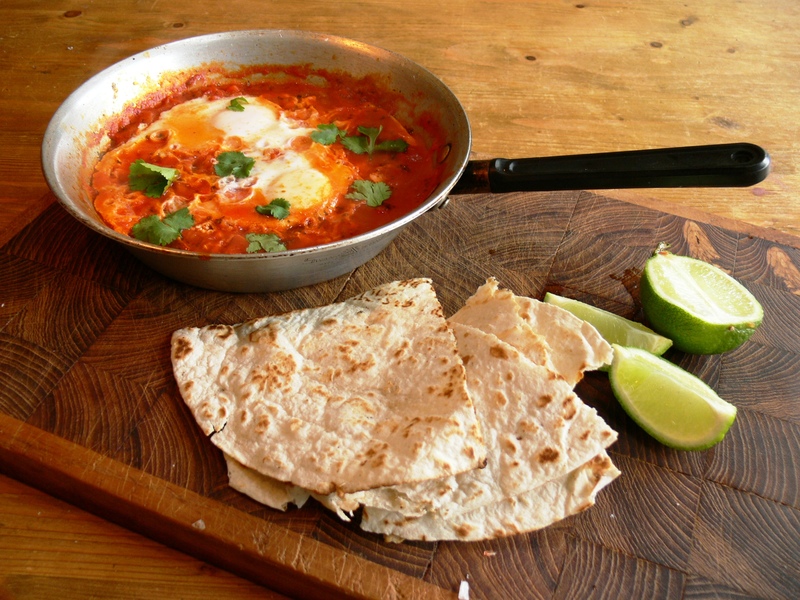 It’s spicy, saucy, dippy eggy and comfortingly scooped up with torn pieces of carb-rich tortilla. Hailing from Mexico, Huevos Rancheros, “Ranchers Eggs”, are traditionally fried eggs served on lightly fried corn tortillas topped with a tomato-chilli sauce. Refried beans, Mexican-style rice, slices of avocado, or guacamole sometimes accompany this breakfast. The Latin American dish spread beyond Mexico and now is popular in parts of the US. Thanks for the like Anne! Ohhhh…. I just made this and I am in heaven! Superb. So full of flavor and quite easy to assemble and the only change I’ve made by adding some parmesan cheese on top. Do use lime to drizzle before digging in as it adds this last kick that’s needed. Thanks for the recipe. Brilliant! Glad you like it. I love your ideas, lime would make it zing!